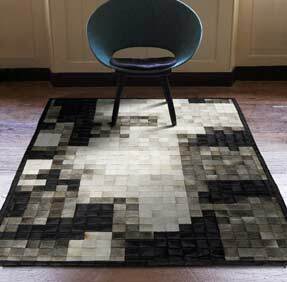 Our huge collections of Patchwork Cowhide rugs are skilfully hand-stitched from the finest leather hides. All hides are sourced from Northern France then shipped to Spain where they are washed and treated then hand-stitched into beautiful rugs. Choose from many designs such as plain, border, stripes, chequerboard and block designs. All our Patchwork Hides are handmade from 100% leather cowhides; the skin weight is around 1600 GR/M2. Due to the nature of these natural products we cannot guarantee that images will be 100% accurate to the actual rug you receive. Choose from many standard size or have a bespoke size / shape made to order.